The Union further directed all lecturers of affiliated Universities to resume academic activities from Tuesday, 19th September, 2017. 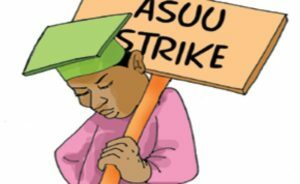 ASUU Striked For One month, six-days. The ASUU President, Prof Biodun Ogunyemi, who made the announcement, explained that the suspension was conditional, as it depends on whether the Federal Government would fulfill its parts of the agreements.